Winter is well and truly here, and for many Canadians that means diving into the joy of winter sports. For those living in the Greater Toronto Area, however, getting the most of a Canadian winter can mean a lot of driving. And whether you’re making the trip up to the Blue Mountains to catch some powder on the slopes or heading to hockey rinks up and down southern Ontario to cheer on your daughter’s team, you want to make sure the car you’re driving is up to the challenge. That’s why you should put a visit to your Mazda dealership in Toronto on the to-do list this January. 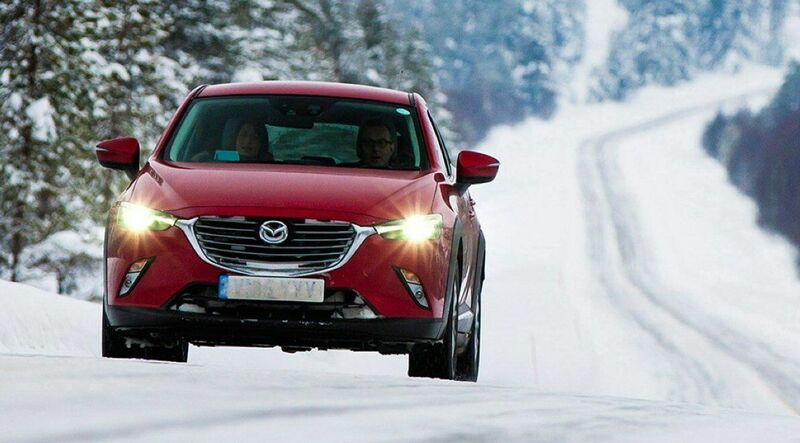 We are proud of the strong reputation Mazda has built for producing cars that can handle anything winter throws at them, and we’d love to show you how easily some of our new models, like the 2018 Mazda CX 3, handle on icy winter roads. Equipped with our celebrated i-ACTIV predictive all-wheel-drive system, which has set a benchmark as one of the most sophisticated and responsive on the market, the CX 3 is a subcompact crossover SUV that brings together superior maneuverability, comfort, and functionality. It’s also just a lot of fun to drive, which is why you should consider dropping by Yorkdale Dufferin Mazda to try it out. Our knowledgeable staff would be more than happy to fill you in on its many other exciting features, such as SKYACTIV-VEHICLE DYNAMICS with G-Vectoring Control, a new technology that helps achieve a smoother, more intuitive drive by seamlessly adjusting weight distribution and power delivery, or the expanded and customizable storage space that makes the CX 3 such a powerful blend of hatchback and SUV. If you’re shopping on a budget, don’t let that hold you back from taking a seat in one of our many pre-owned vehicles. We have lots of used Mazdas to fit any lifestyle, and at Yorkdale Dufferin Mazda, buying a used car does not mean buying an old car: we have plenty of excellent 2016 and 2017 models of our most popular vehicles, like the Mazda 3, the Mazda 6, and the Mazda CX 5. Our certified pre-owned vehicles all undergo a 160-point detailed inspection and have a 7 year/140,000 km limited powertrain warranty, so you can step into any used Mazda knowing it is up to Mazda’s high standards of safety and performance. And if you want to compare how previous models stack up to the latest ones, you can also check out or showroom to see which of the latest Mazda car models you might want to consider. We’re happy to offer competitive financing to make sure buying a Mazda is as good for your bank account as it is for your commute. As Canadians know, getting the most out of winter is about embracing all the season has to offer, and to do that you want to make sure you’re in a vehicle that can take you where you need to go, confident that you’ll be able to handle any conditions that come your way. This is why you should stop by Yorkdale Dufferin Mazda before setting out on your next adventure. You never know what the road ahead will look like, so why not be prepared for anything?